We conducted the development works for the poor member of the Minority Community, Women Schedule Caste, Schedule and Schedule Tribe and flood distressed people and inhabitants living, in a distressed condition. Our resource are limited and due to lamited capacity we are unable to do the social work, properly and broadly, hence we request all persons, organisations and goverment and foriegn countries to donate, to contribute, to sanction grant for our future activities, for the down trodden people of the society we also look forward for support from donors both, indian and foriegn or from individual, society, trust and company. We thank local M.L.A. and M.P. for their kind co-operation and guidance. 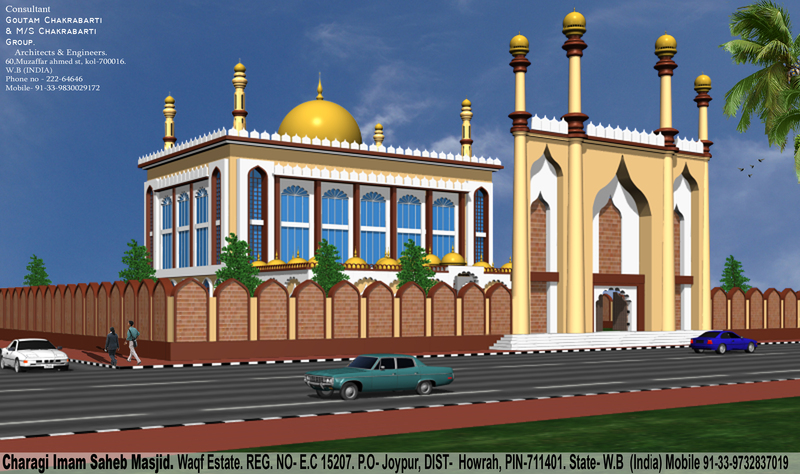 One of our main motto is to re-construct our masjid and it requires a sum of about Rupees thirty lakhs of capital nature as well as annual revenue ofabout twenty lakhs for social work. I would like to convey my heartful gratutude to all members, trustees, Donors, Govt. officials (both Central and State) Local NGO's and people for their sincere cooperation for the development of our organization. We need the blessings and cooperation of all concerned for our future development works.